Q: How can new franchisees establish a positive work culture in their business? What a gift it is to get to start a new franchise! This is a wonderful opportunity to build a strong culture by identifying and defining the values you want for your business. You have a choice in the types of individuals you hire, which in turn gives you the opportunity to establish the culture you would like for your business. A positive work environment starts with defining both the main principles for your particular business and, on the other hand, what you will not tolerate. You should establish a code of conduct, with a manual that clearly outlines the standards you expect everyone to adopt. Attracting the right individuals should be the next step. Behavioural questions during the interview, focusing on whether the person’s approach to negative situations will be positive, are very helpful in assembling the right team to support the values you have outlined for your franchise. Q: What ethics are important for the franchisee to espouse as an example to others? The expression and balancing of ethics, boundaries and the need for further growth are vital to any business. A franchise is no different. You will need to support the ethics upheld by your franchisor and adopt guidelines based on your local business. I feel it is most important to adopt the following ethics, to set an example: ensure equal opportunities; uphold integrity in all interactions with customers and employees; ensure business allowances are not abused for personal benefit; always provide a safe and healthy working environment; and show you value diversity. Q: What traits should they look for in their employees to help grow the business? People are the most important part of any business. Attracting the right ones can mean tremendous success for your franchise. You May Also Like Cash, credit, debit ... or phone? 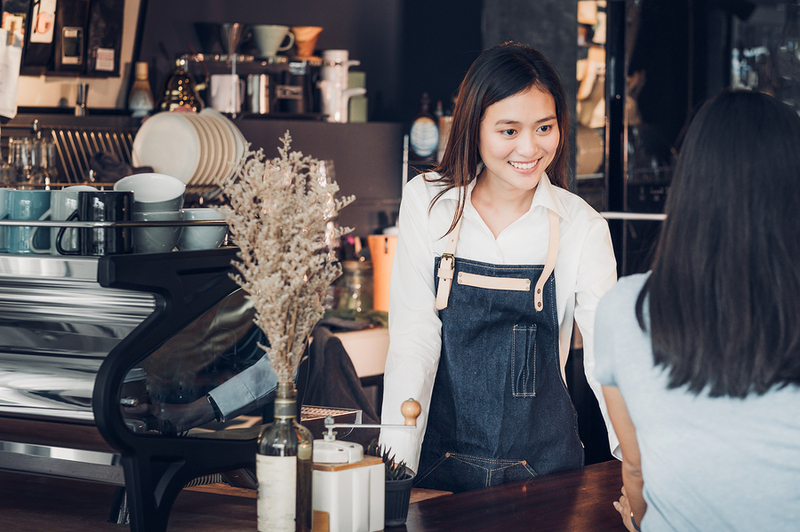 When a newly launched business is in its earliest stages of growth, it mainly needs to attract employees with sales capabilities. This does not mean they need to be professional-level salespeople or even have sales experience. Rather, they need to be able to uncover and recognize opportunities and then act on them, to help the franchise get to the next level of success. I find these qualities most often in people who are able to network effectively and see the big picture clearly, so their actions are always focused on the bottom line and they do not spend too much time on unrelated problems. They will usually address pertinent issues relatively quickly and think strategically for the sake of the growth and advancement of the business. I have seen these qualities in senior and junior employees alike. They are usually emotionally intelligent and able to communicate with both existing and potential customers on behalf of the business very successfully. To identify them, your interview process must focus on assessing an applicant’s perspective and ability to rise above the mundane. Elizabeth Dulberger is the author of Smoke and Mirrors: Strategic Self-Awareness for Leaders and Future Leaders. For more information, visit www.dulbergergroup.com.